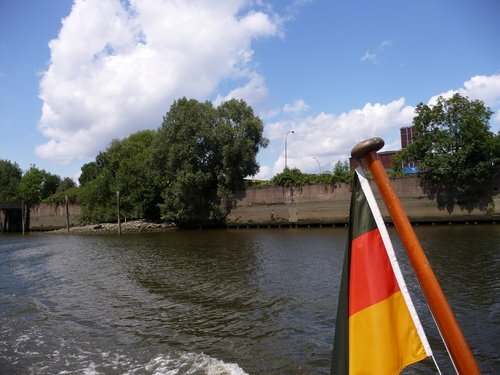 Some impressions from a recent trip to Hamburg – my brother-in-law managed to organise a tour on the Elbe (river) for the whole family with cousins and their spouses & kids. 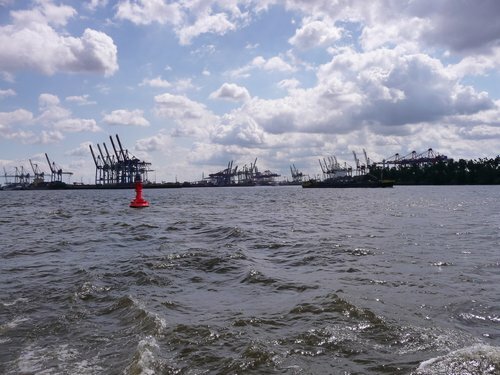 A nice and very exclusive event that once again reminded me how beautiful and interesting the port of Hamburg actually is. 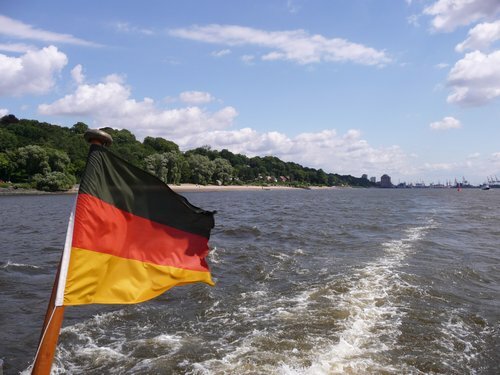 I’ve lived in Hamburg from 10/1975 till 01/1976 and 07/1983 till 10/1983 so I wouldn’t really call it “my home” even though my passport says something else. 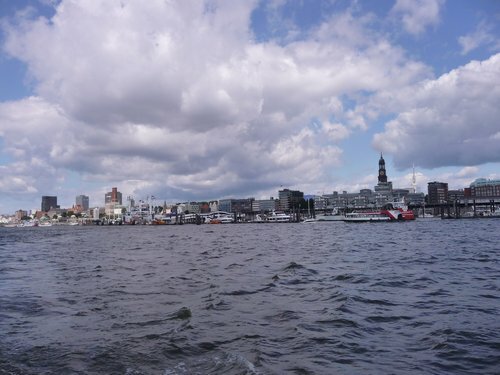 Lakini – if “home is where your heart is”, then maybe Hamburg qualifies for being one of those places. 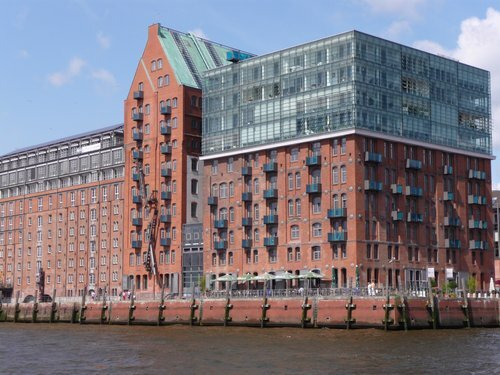 The area of the HafenCity used to be part of the free trade zone and has now been changed into an area with offices, hotels, shops, official buildings and residential areas. 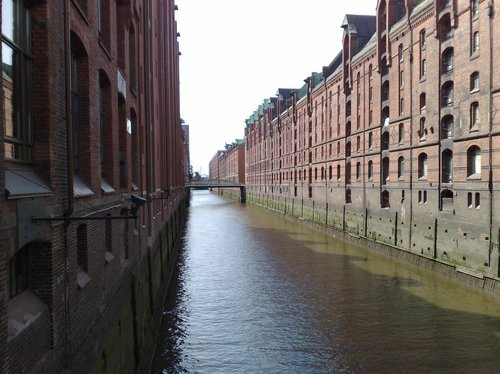 The building on the right is Elbe Philharmonic Hall, a music hall that once used to be an old warehouse. Pretty impressive. 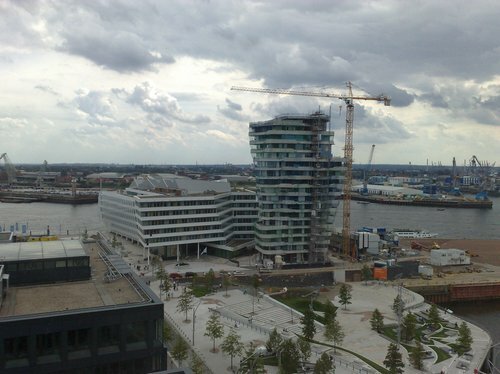 The top floor of this new building to the right will cost about 8.5 million €. 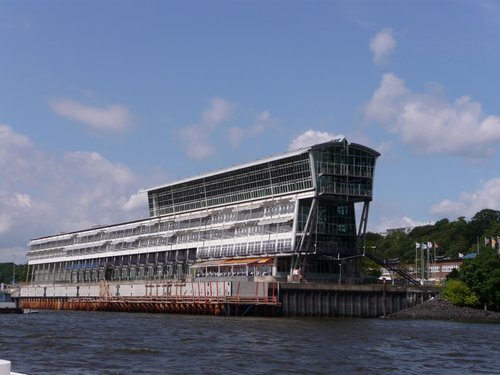 … as well as the new HafenCity. Wait, what’s that in the middle? 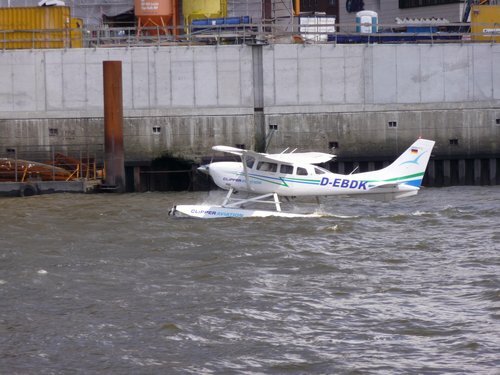 Oh, it’s an aeroboat. When was the last time you’ve seen one live? 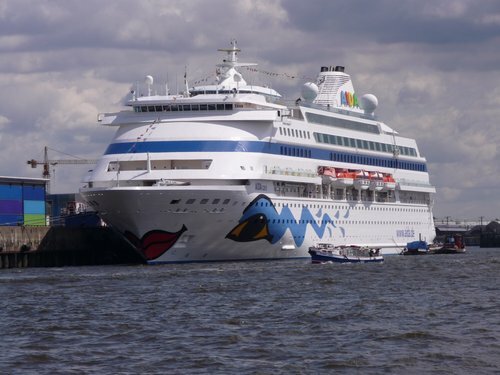 The AIDAcara, a German cruise ship. A friend of mine recently booked a tour on one of these AIDA cruise ships and met his (current, I think :-) girlfriend there. 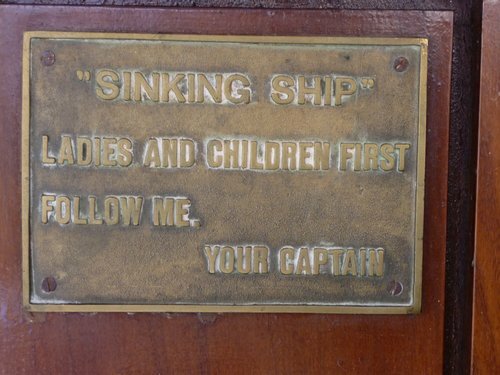 Obviously, a good place for meeting singles. 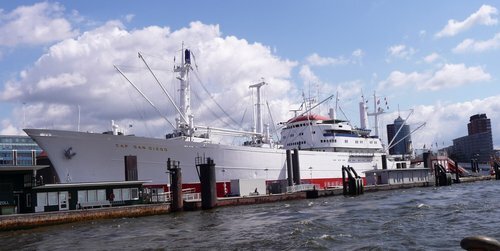 The Cap San Diego, a former general cargo ship that now serves as a museum. 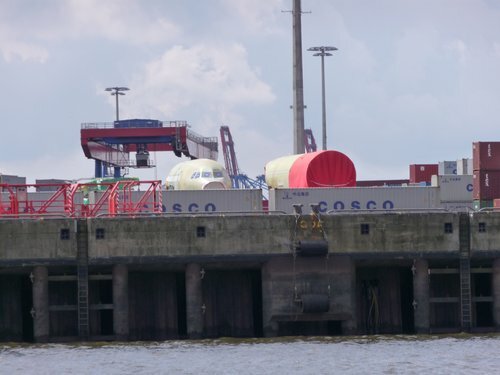 It probably is a testimony to the origin of the port’s main business which was L.C.L. 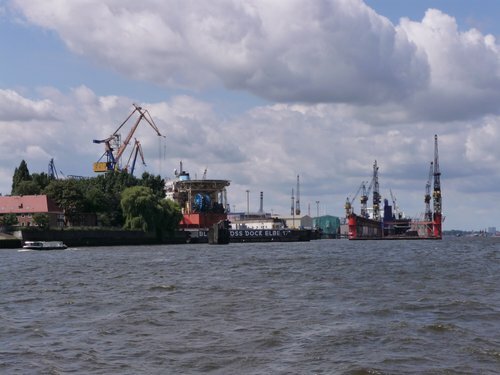 You also get to see some older dockyards. 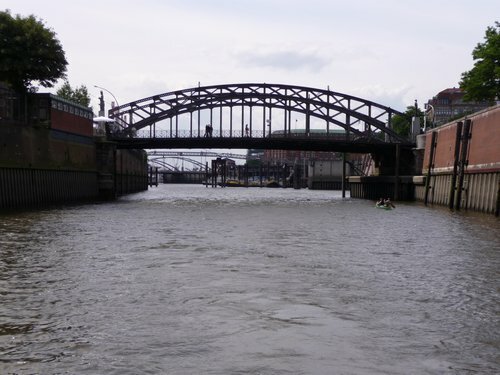 View on the St. Pauli Landungsbrücken. 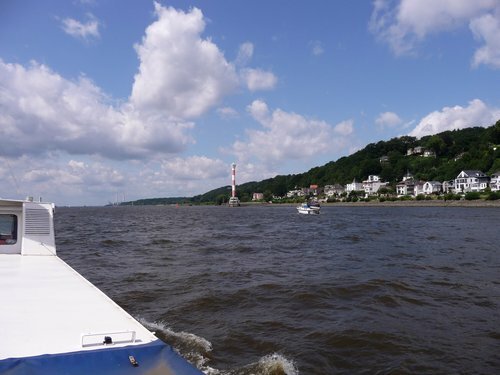 This actually is one of the best photos as it shows some protest against Germany and an energy company that recently messed up things on nuclear power plant further down the river. 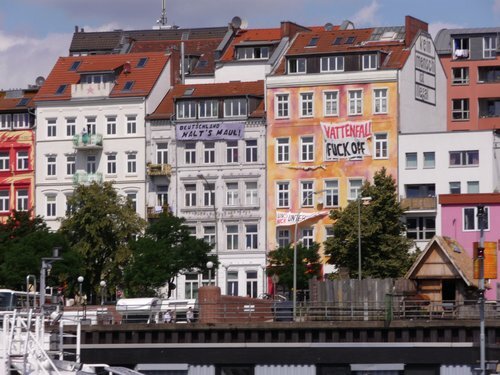 These building on (Hamburg) Hafenstraße are 0w3nd by squatters since 1981. You can actually spend a nice & warm summer evening on such a beach. 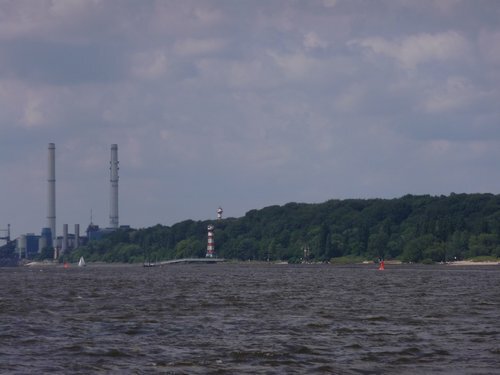 The Airbus factory next to the Mühlenberger Loch. @Dave @czed – pls feel free to comment on this. 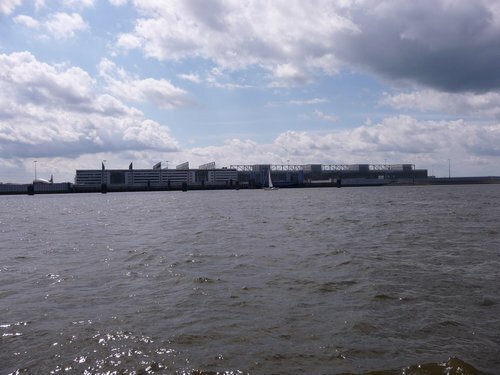 Afaik, it used to be a harbour for aeroboats during WW2 and 1/5 of the area have recently been converted into factory groundy by EADS for the construction of the Airbus A380. 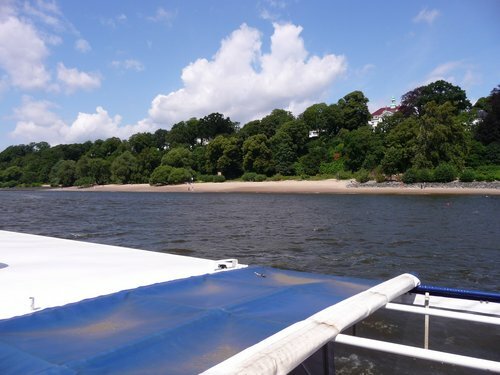 Blankenese, a suburban (beautiful & expensive) quarter in the western part of Hamburg. 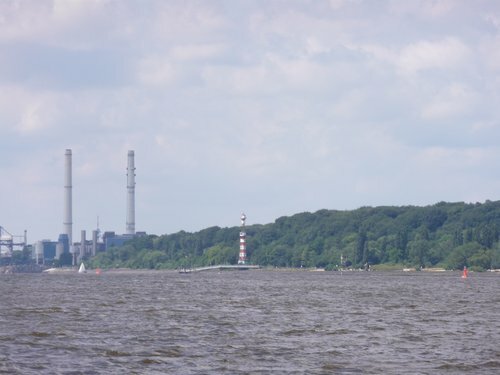 These two light houses are leading lights that have to be in one vertical line (see below). Once you see them in line, you know you’re in the center of fairway. An destroyed quay wall, probably from a bomb during WW2. 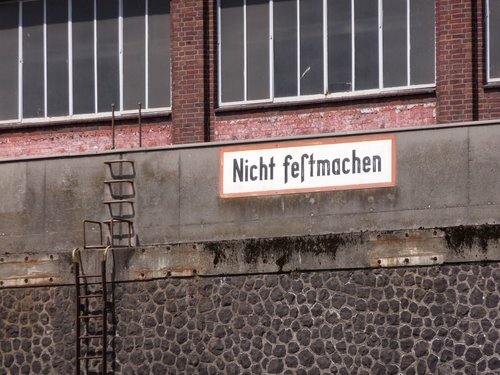 A few metres further down we came across this sign which indicates that it’s rather old and the WW2 theory is correct. Maybe someone knows the story behind this? 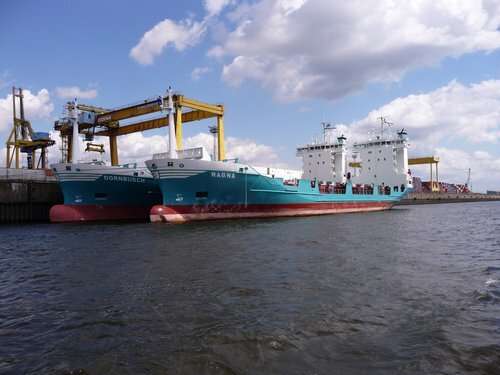 Two cargo ships that have been put out of service for the time being due to the global recession. Some airplane parts (Airbus?) ready for shipment. Roman Arkayevish Abramovich‘ new luxury yacht, the M/Y Eclipse. 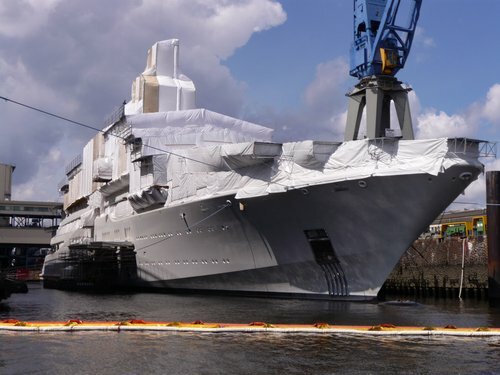 This is the most impressive luxury yacht I’ve ever seen. 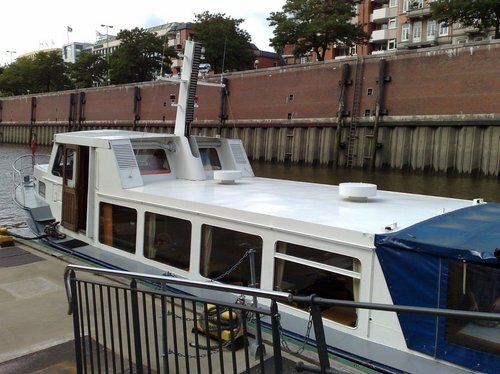 I don’t know if anyone really needs to have such a huge boat, but it sure looks great! 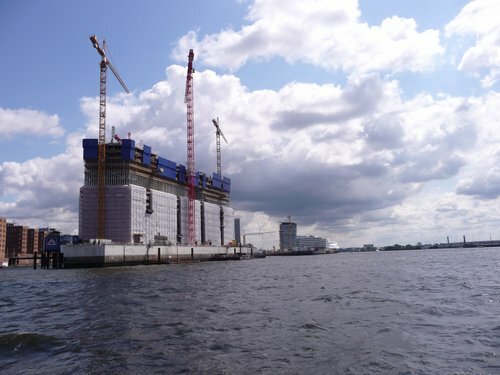 Built by Blohm & Voss in Hamburg. 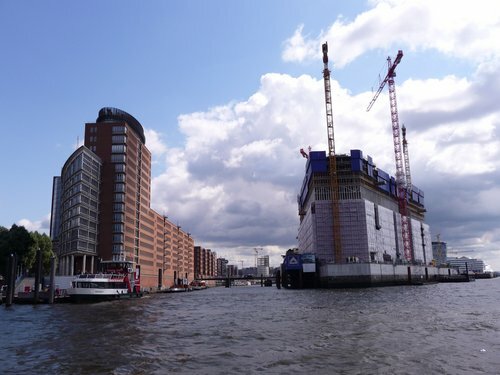 You really get to see a lot of Hamburg from the river / port alone, and it is very interesting to see how much the City actually celebrates it’s port to a point where they are actually spending a lot of money on rebuilding old quarters. 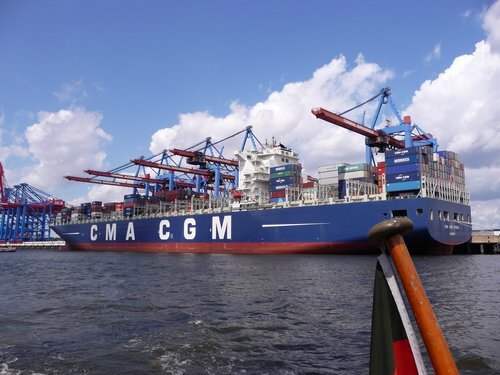 It’s a proud city and the port is a very good example to show where Hamburg wins over Bremen – another city in the North with similar interests & heritage. 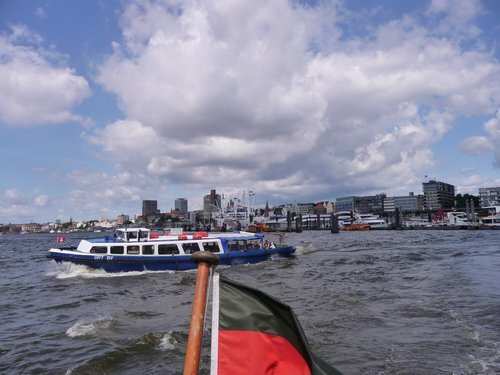 We’ll be back for more one day…. 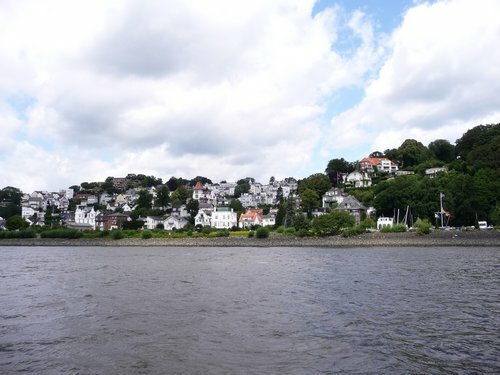 Blankenese, reminds me so much of Bainbridge Island in Seattle. More built up, though. 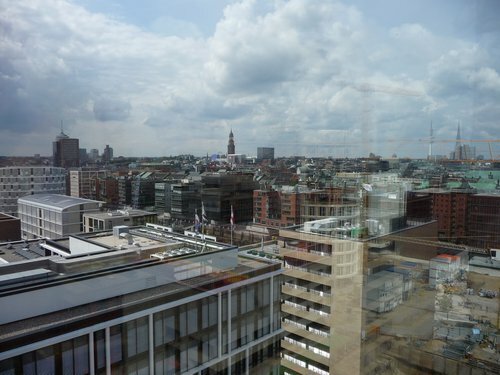 Did not realize Hamburg looked that interesting, I am now interested in visiting. 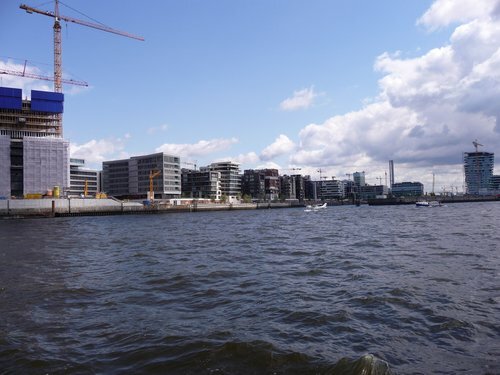 8.5 m Euro for a penthouse by a marina is a decent price. 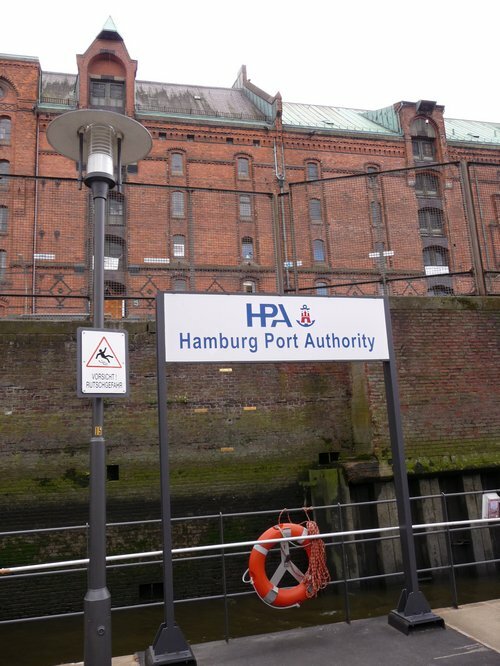 Unless Hamburg is a small city.